Calcutta Unseen Seen. - BREVILOQUENT. 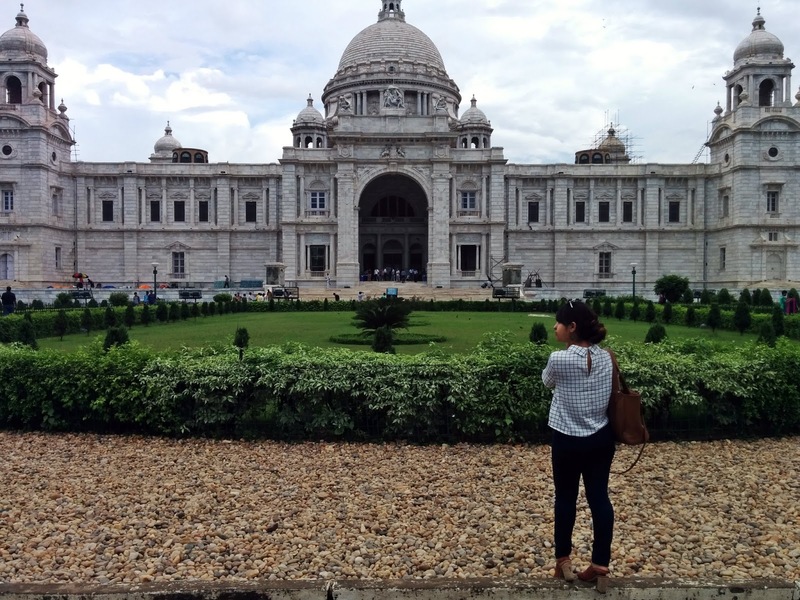 Kolkata for me has always been the city where my heart and my soul belongs. 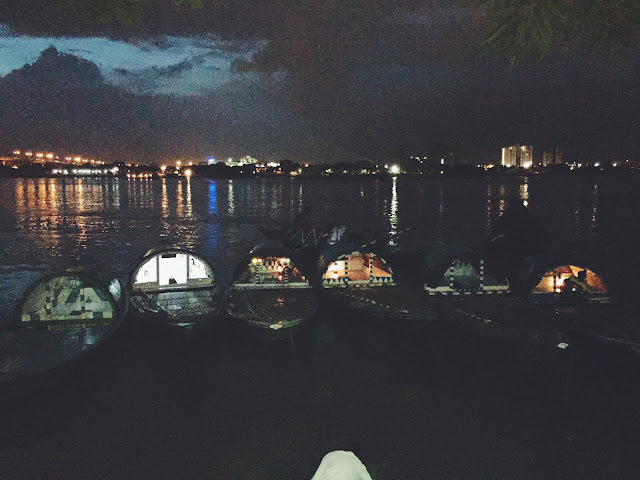 The unexplained love and obsession for the city since years has always made the bong in me swell with joy. 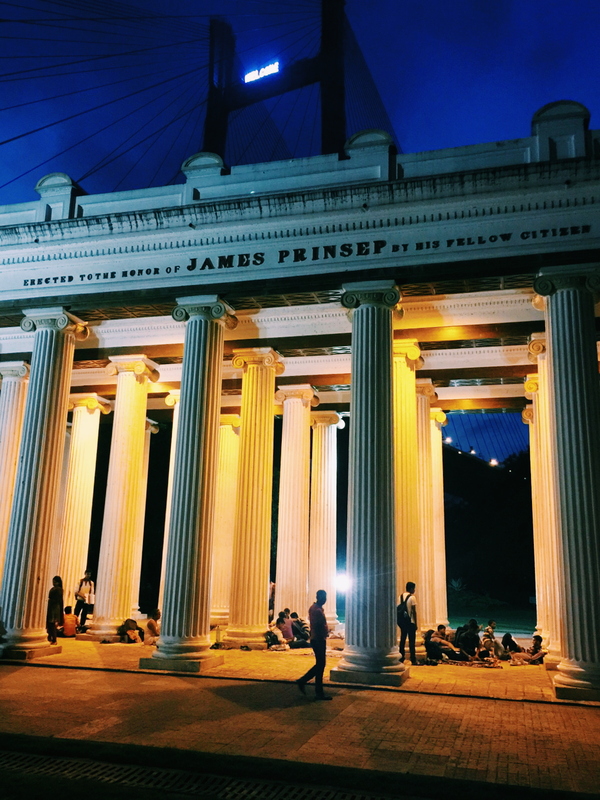 With the last post here, when I said About Time I Go, I was unaware that I'd have such stories waiting for me to reveal in the city of joy. What good is life, if all you do is wake up to the same drab view each morning? 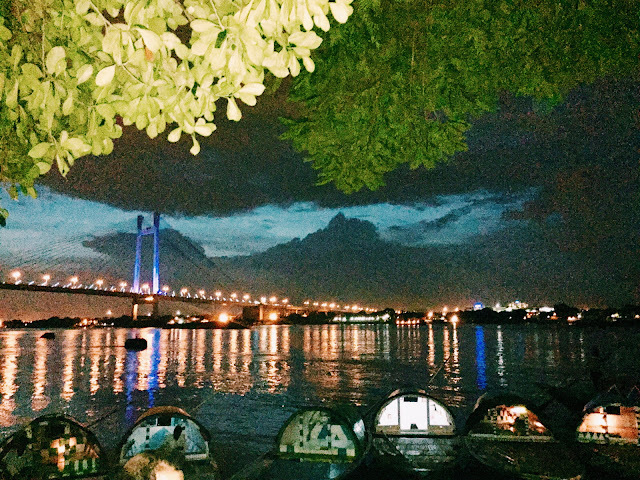 The whole point of visiting a new city for me is to adapt to the newness like you have always owned it. I had been planning this one particular trip since 6 years now and when finally I could execute it, it had to be documented. 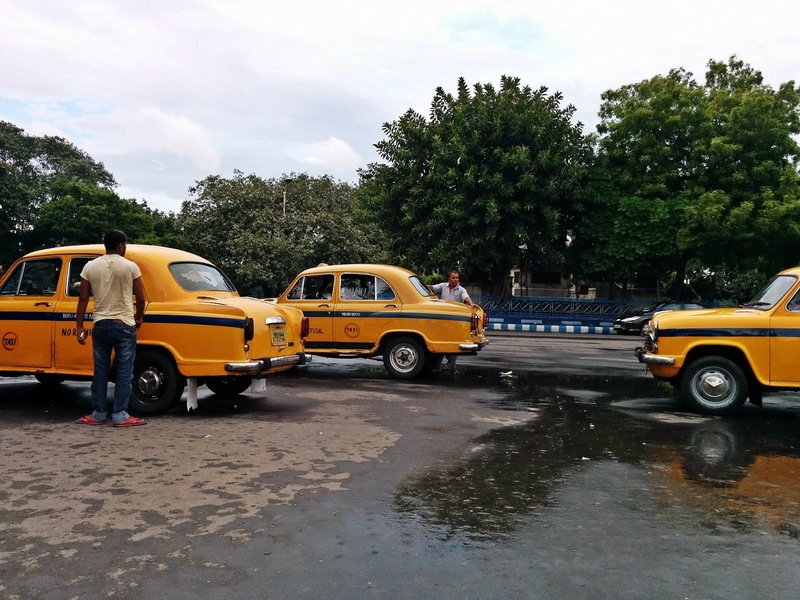 The first thing you'll set your eyes on when you reach Kolkata are the yellow taxis. 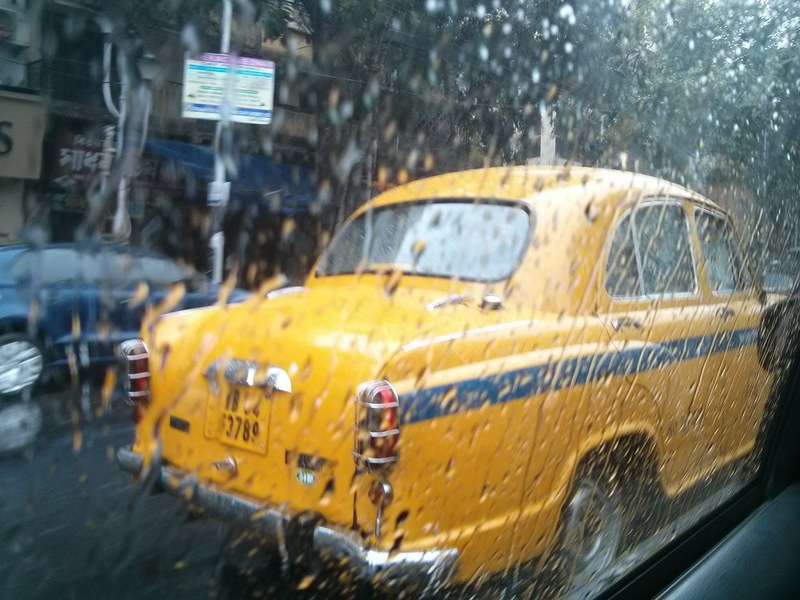 Filling up the roads, these taxis had me smiling like a little kid. The happy yellow color all over the streets makes it all the more easy to travel in the city. My first day involved only a lot of Bengali food. From Dhokar Dalna, Rice, Aalu Bhaja for lunch to The Hilsa Fish festival at Oh! Calcutta in Forum mall where I let the food taster in me loose over dinner. Mochar Chop, Chanar Paturi, Bhetki Fish Fry, Murgi Paturi, Luchi, Cholar Dal, Alu Dum, Kosha Mangsho topped with Nolen Gur Ice cream. With no planned preferences, for once I had no itinerary on me. 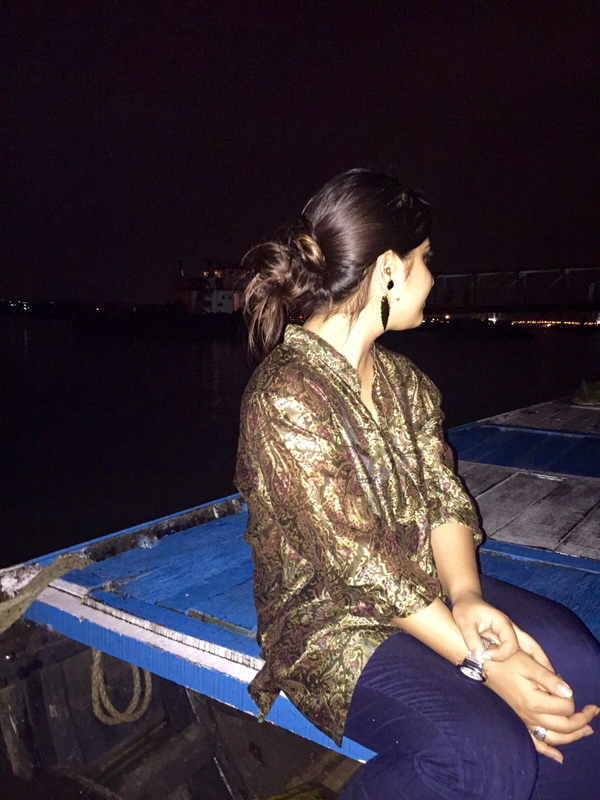 Since this trip was all about Kolkata and me, I had no plans of meeting anyone who so ever. 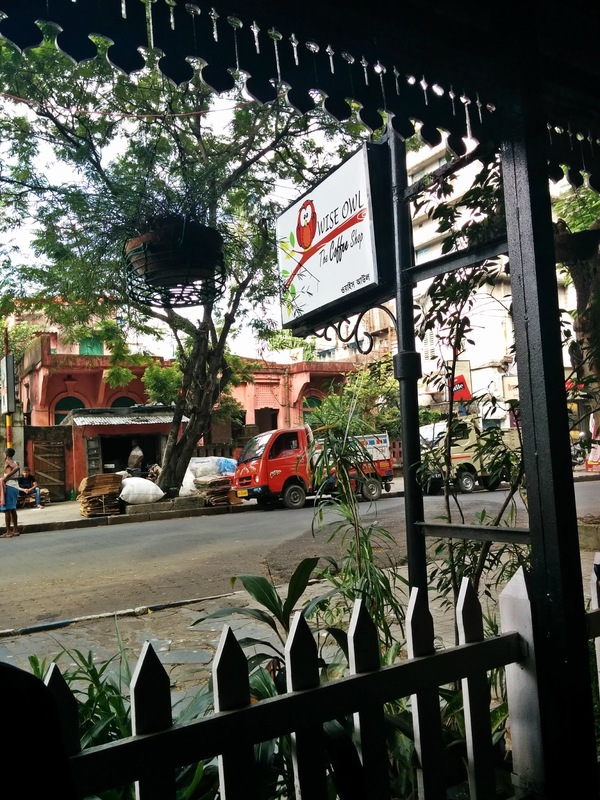 But how could I miss out on coffee and the famous 'adda' places? If you travel with me, i'll make sure I drag you with me to little coffee shops, bars, book shops, museums and all the places that have me happy talking. 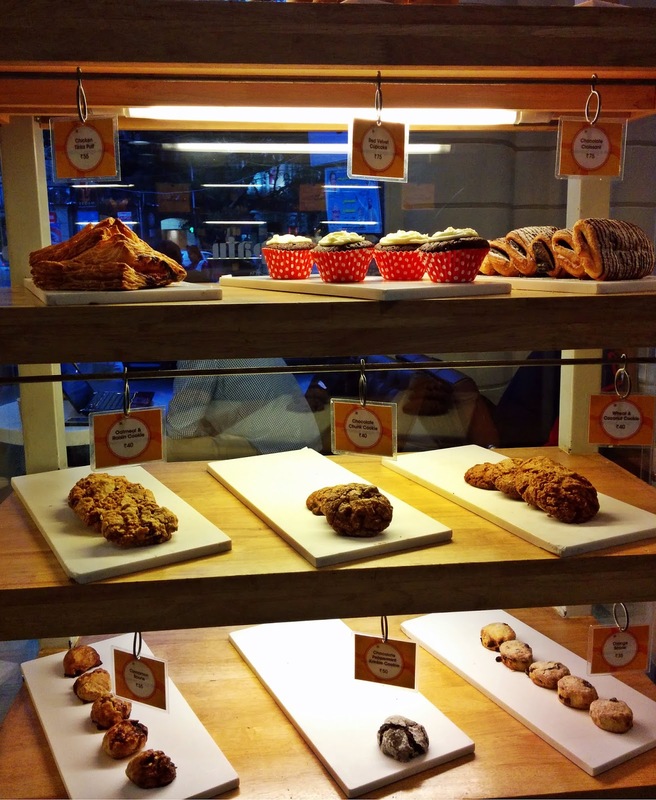 I visited The Wise Owl Coffee Shop in Gariahat to fix my dose of caffeine. The prices are unusually surprising, more because I am not used to paying under INR 100 for a single cup of coffee in Delhi. If you are there, do check out Mrs Magpie too. The aroma of the album of our life sustains in our feelings, not in our sightings. You cannot not be a tourist in a city like Kolkata. 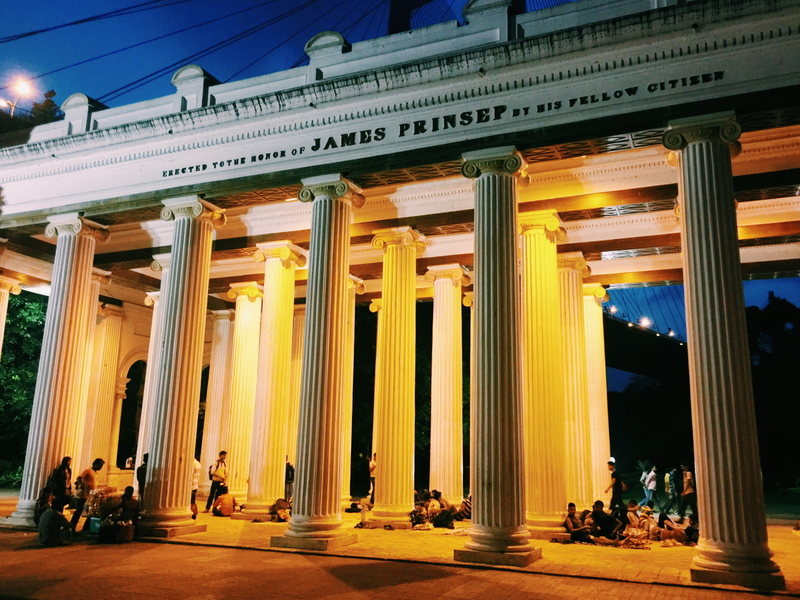 The city is so full of heritage to the brim that you'll end up not being able to see everything. 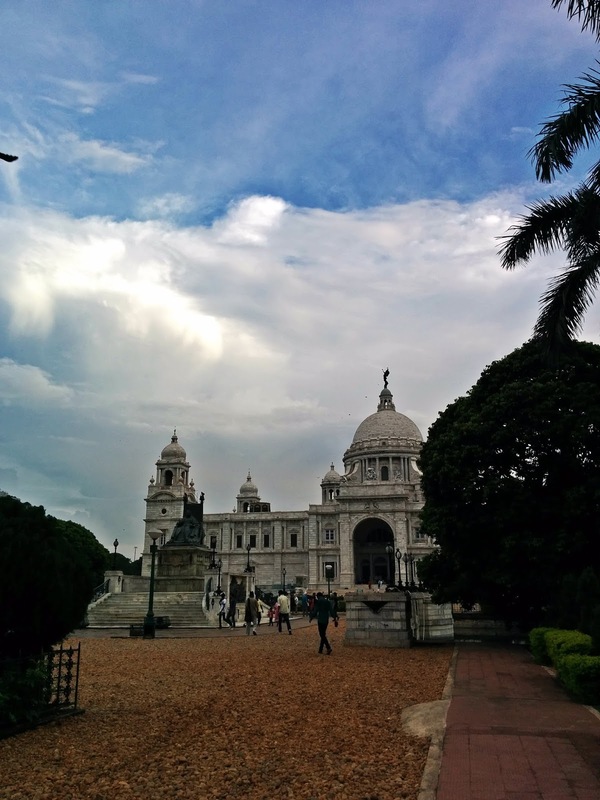 But while you are there, do not miss Victoria Memorial, dedicated to the memory of Queen Victoria which is now a museum and tourist destination. I was lucky to visit the place right after it poured, which made it look even more beautiful. 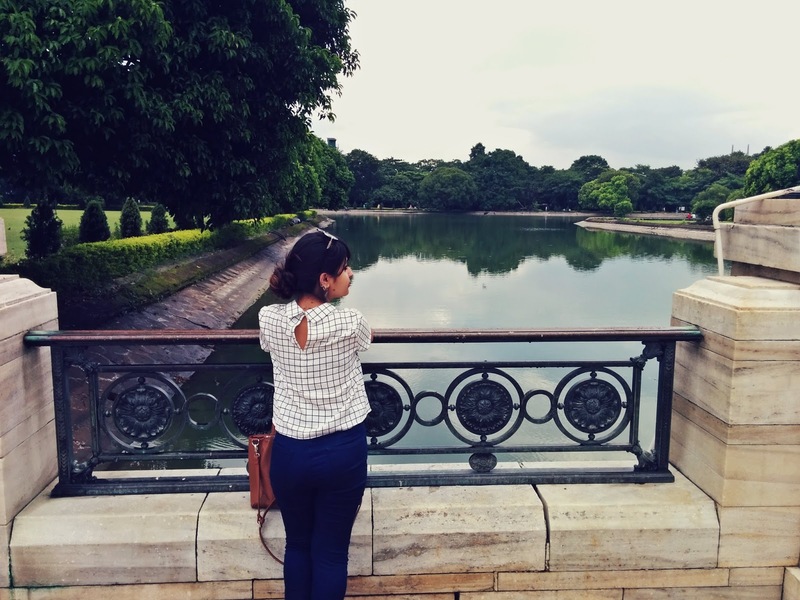 A walk through the huge lawns and you will be taken back to the time when pure royalty trod. 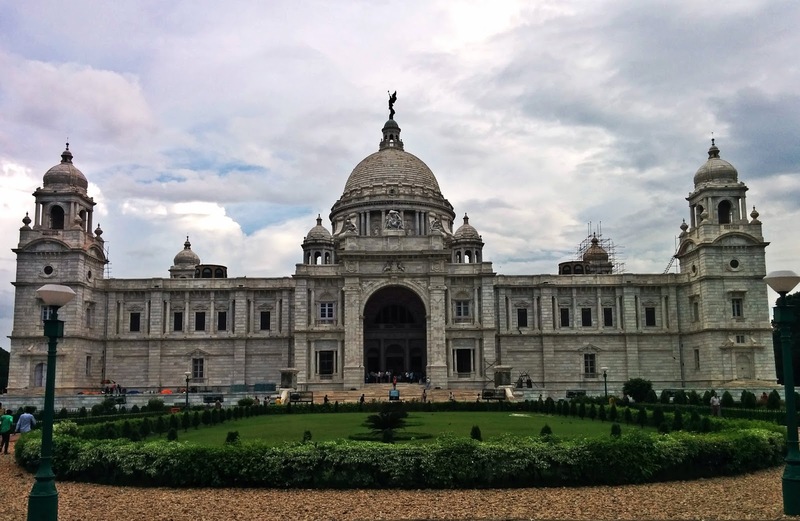 "Let us, therefore, have a building, stately, spacious, monumental and grand, to which every newcomer in Calcutta will turn, to which all the resident population, European and Native, will flock, where all classes will learn the lessons of history, and see revived before their eyes the marvels of the past." My evenings were mostly spent in Park Street. 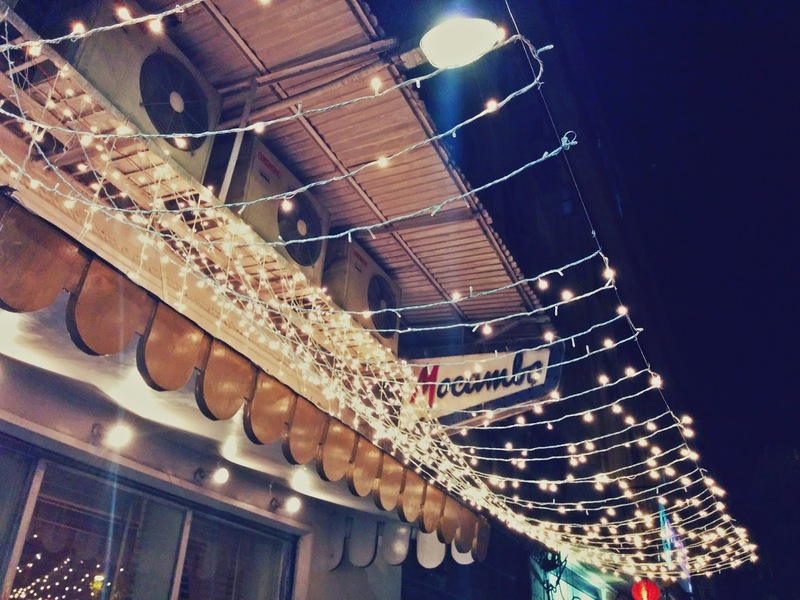 From little cafes to the oldest eating places. 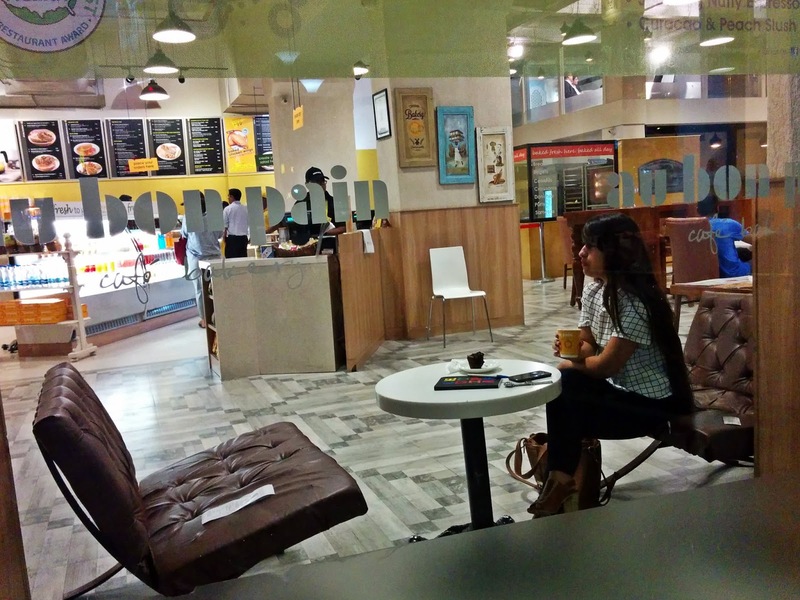 Au Bon Pain bakery is one such place where you can sit by yourself with a book in your hand while you munch through the variety around you. Don't be amused if you bump into someone you've seen on your television screen, for the place is usually taken for shoots on its first floor. I witnessed a news show being shot with some known personalities walking around with cupcakes and coffee. 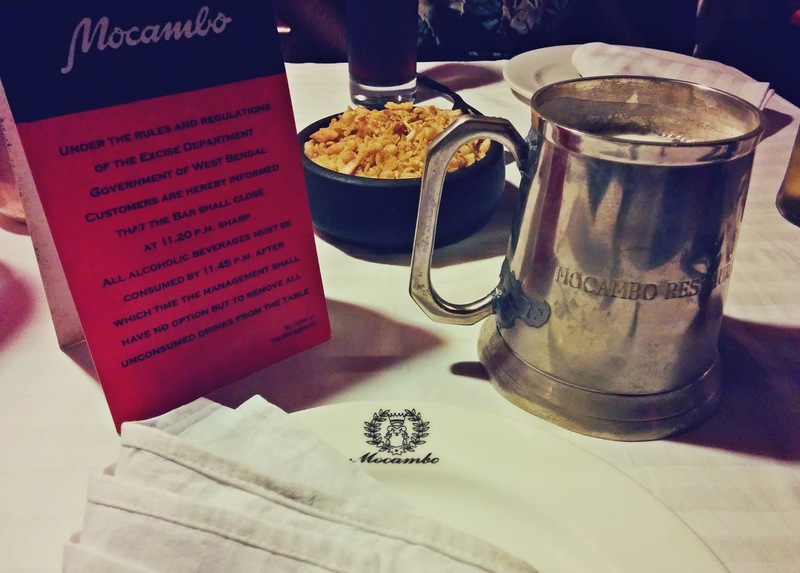 Mocambo, the oldest place in Park Street as I was told is best for people like me who love their beer well served. 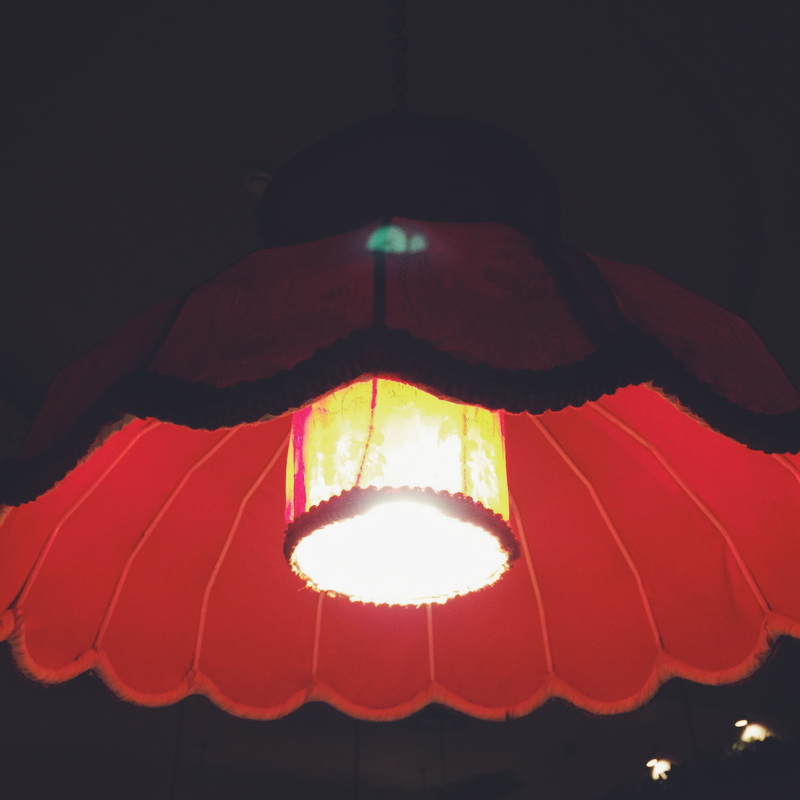 The food is sumptuous and the whole atmosphere of the place is as lovely as your beer will taste sitting under these beautiful lamps. 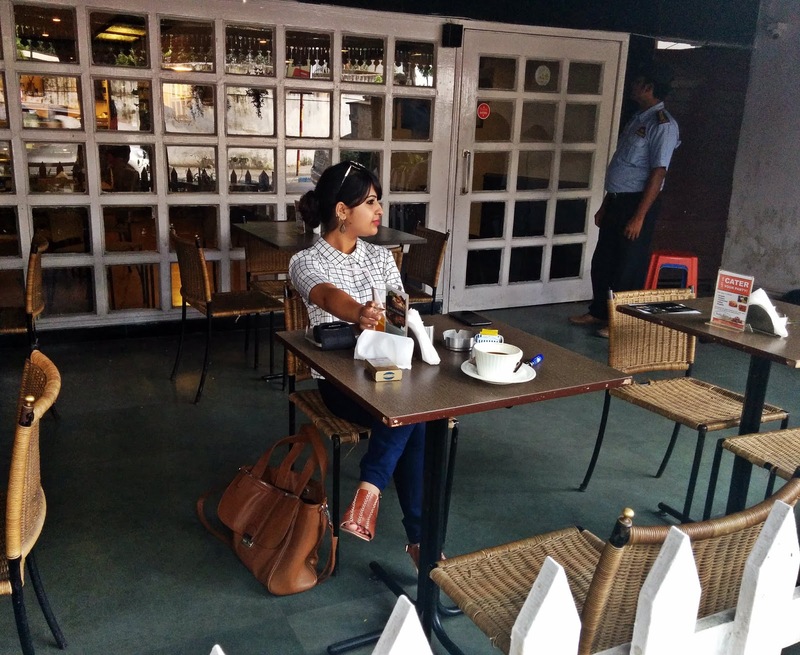 You are bound to see some famous personalities flock the place every now and then without major hullabaloo. I secretly wished I could get that huge beer mug. 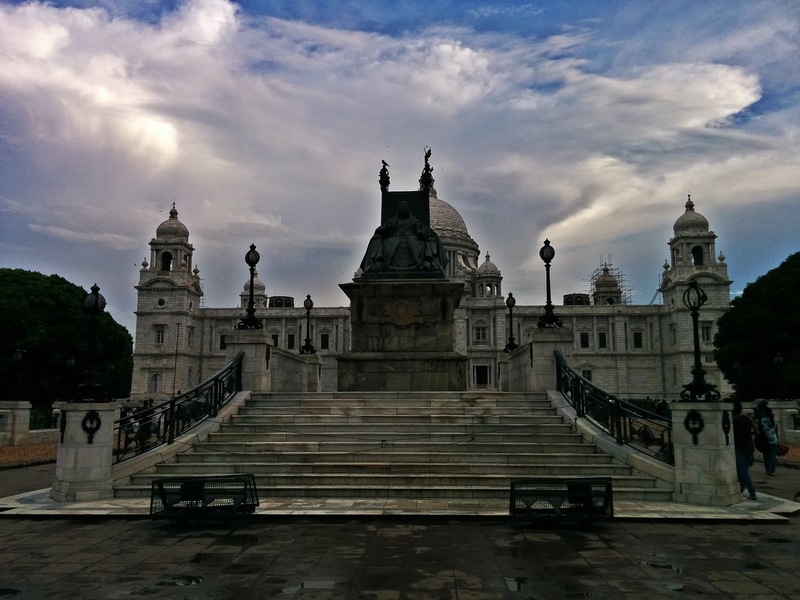 Kolkata is like London. The weather changes with every changing street. 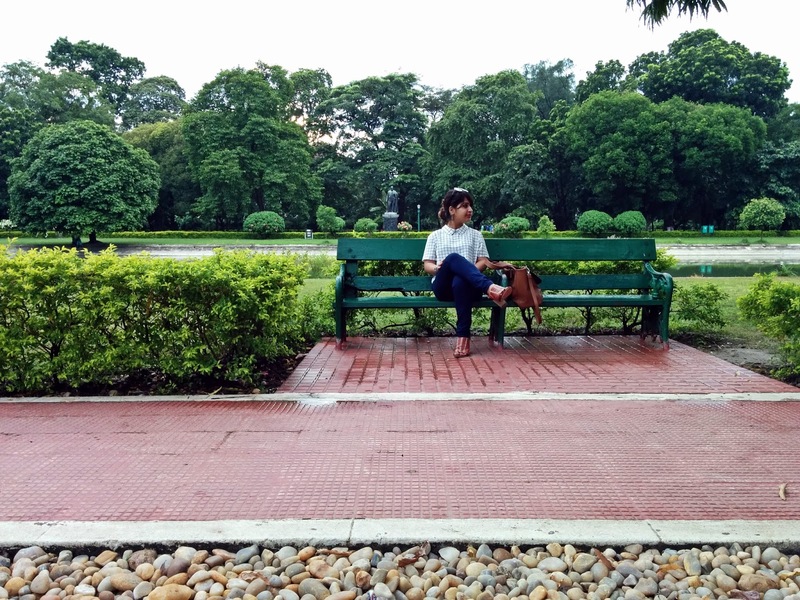 I was lucky to get drenched every day while the weather in Delhi went up each passing day. 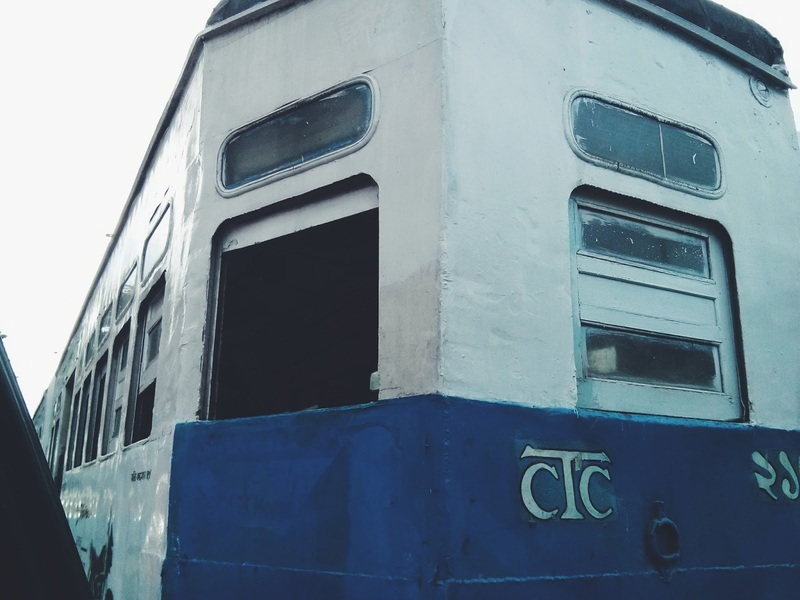 Running since 1902, the Kolkata tram run by The Calcutta Tramways Company is the only operating tram network in India. I was a little surprised to see these running right between the roads. Not used to seeing something like this on the roads, I was of course excited but the speed and the traffic caused by the trams is a turn off. Imagine waking up to Pinks and Blues and Yellows and Greens every morning. 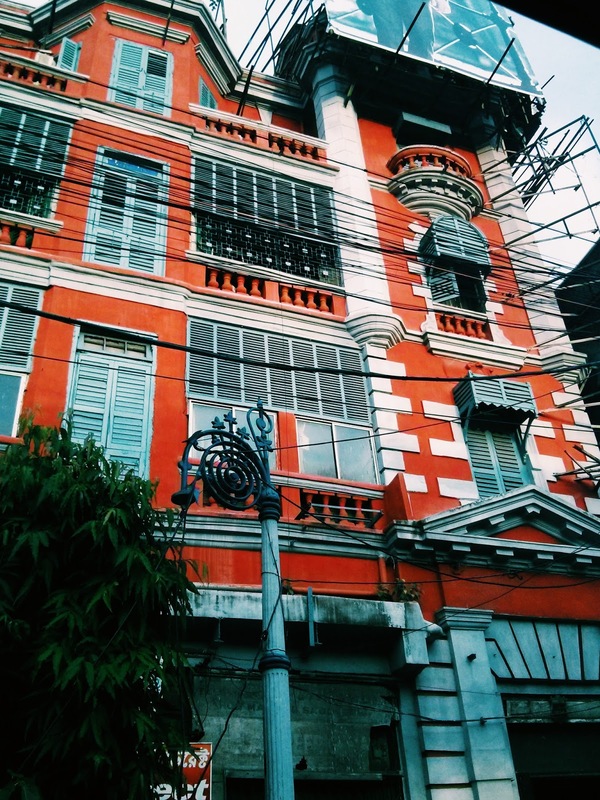 The lovely buildings with an array of colors made me happy each morning. 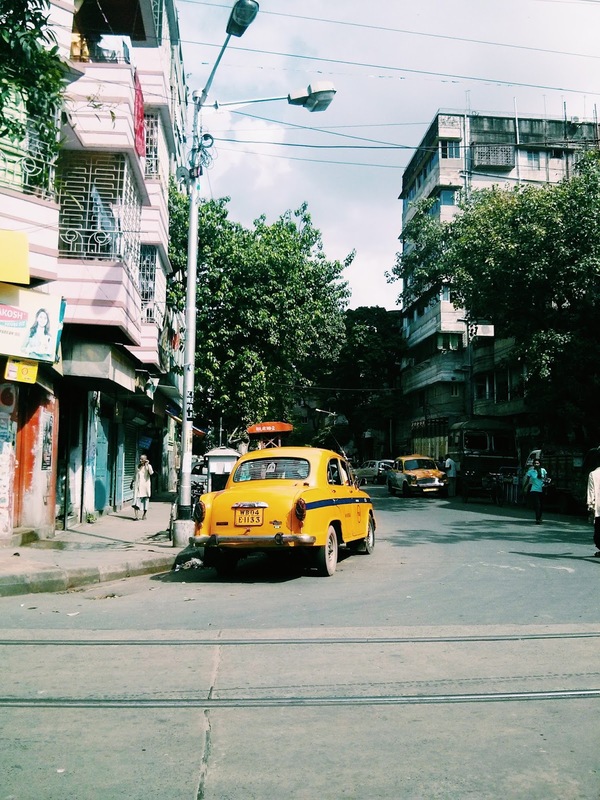 Unlike the plain Greys and whites, each house in Kolkata is different from the other. 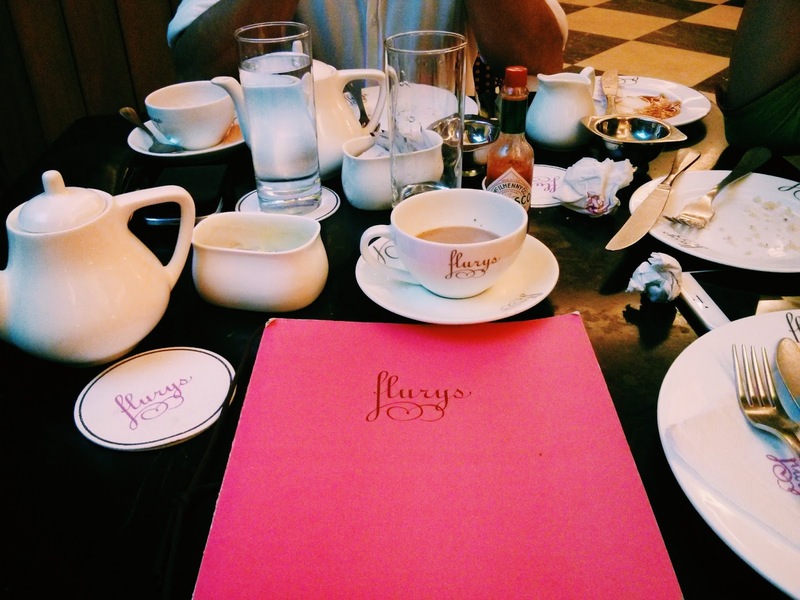 We all have heard about Flurys once . No? 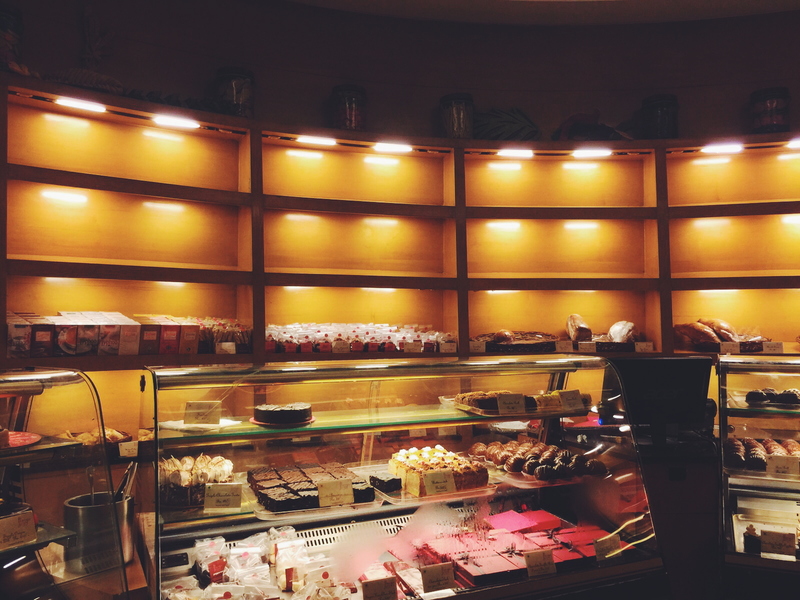 The legendary tea room in the fashionable Park Street founded in 1927 presenting the fine European confections introduces the city and the generations to authentic Swiss and International delicacies. 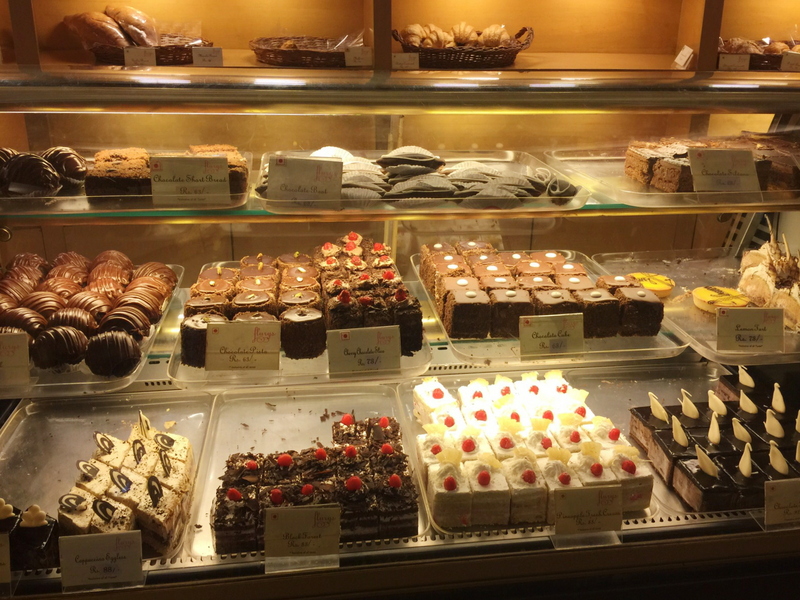 The old world charm and the selection of colors apart from the exotic cakes, puddings, pastries retains the sense of timelessness. Planning your first date? 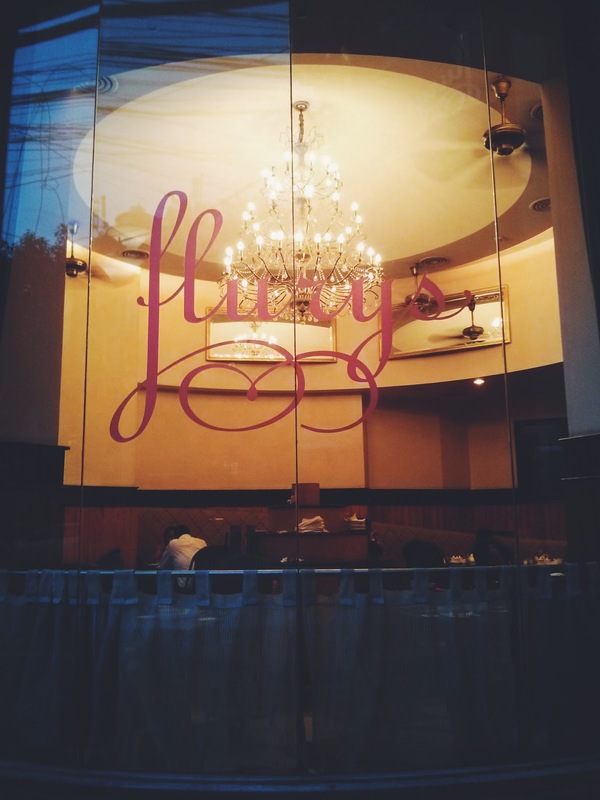 It'll always be Flurys for me. Moulin Rouge clearly played with my feelings! If you have seen Parineeta more than 10 times like me and got as excited when they said "Lets go to Flurys and Moulin Rouge", so much that you wanted to accompany them, then this is going to break your heart. 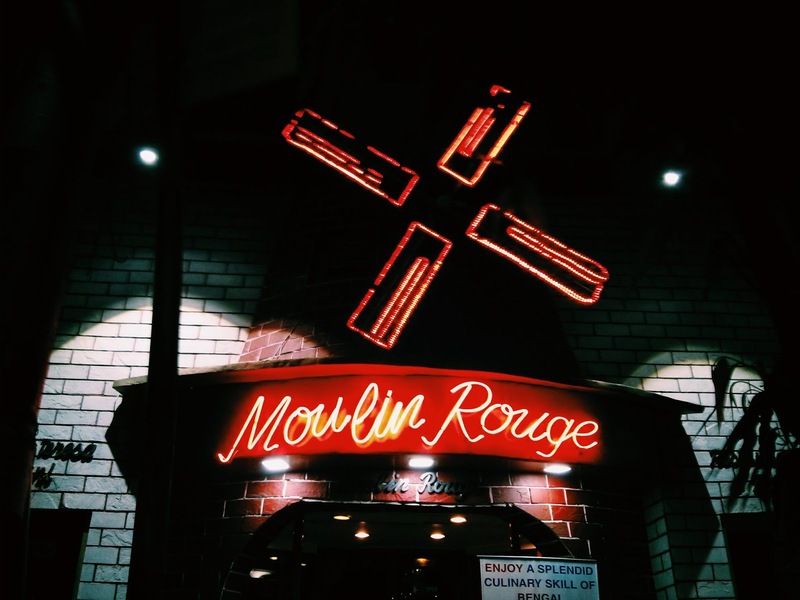 I had my imagination playing when I planned to go drinking and having my dinner at Moulin Rouge. No. The place isn't what you see in the movie. It might have been so years ago as I was told. But now, it is only a simple family restaurant. 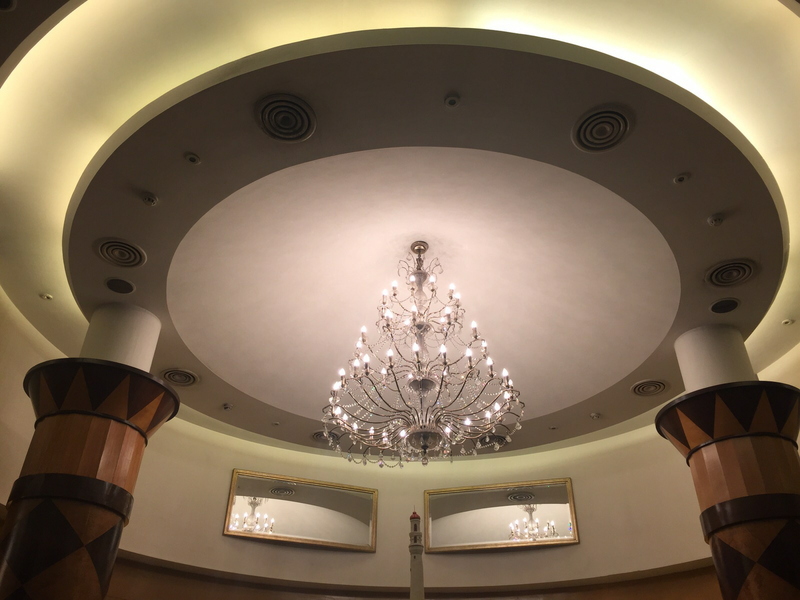 The only place that disappointed me with its service and food and the ambience. The music might try and make up to you though. The only time I realized what Carpe Diem means is when it poured Rabindra Sangeet in the background and I sat there on a little boat under the Howrah bridge amidst the river Ganges. Time will stop and you'll meet yourself in that one hour where nothing but silence would matter. If there's one thing I have brought back, it has to be this experience. 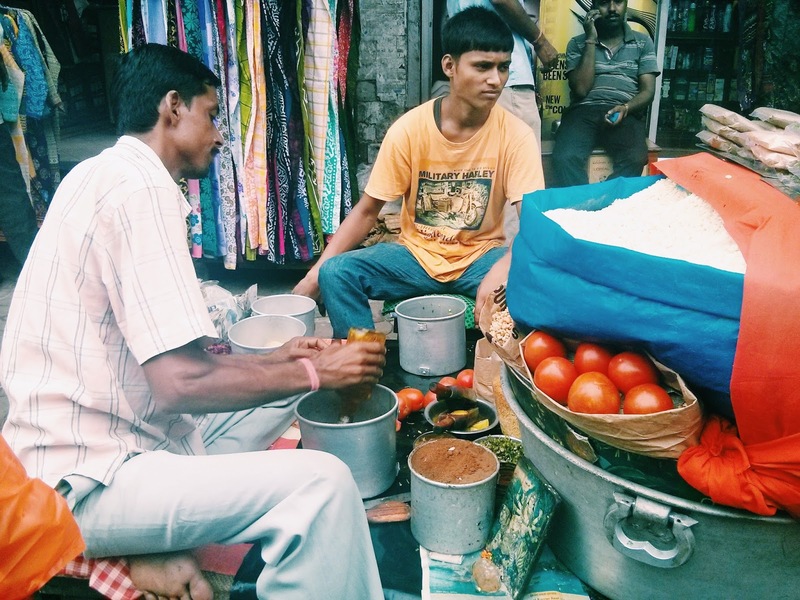 Jhaal muri is a popular street food snack of Kolkata. Jhaal means spices and muri is puffed rice. This puffed rice is tossed with potato, cucumber, tomatoes. A special blend of spices including tamarind pulp, and mustard oil are also added to jhaal muri. 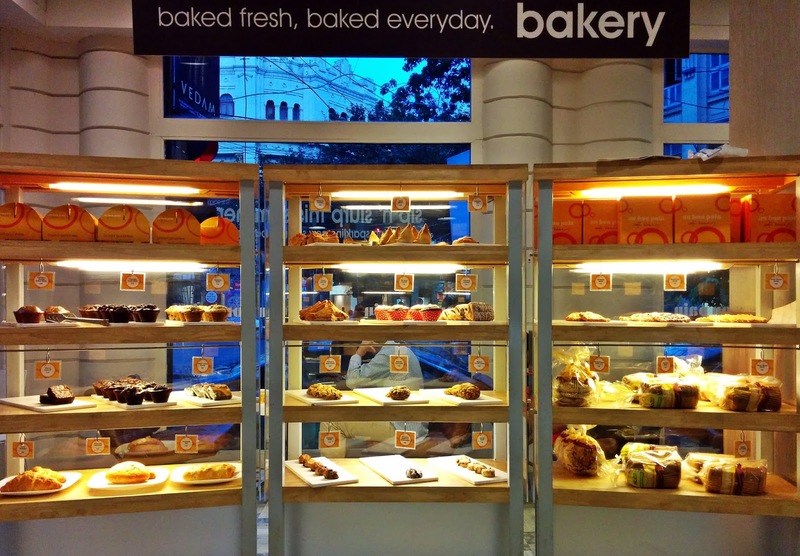 I tried mine at the busy New Market and it was indeed mouth watering. So much so that I brought back few packets for home. 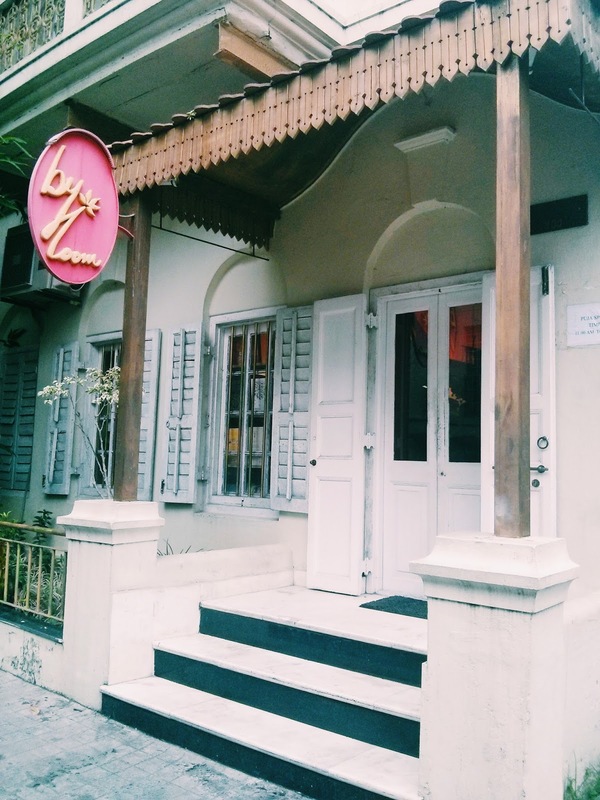 Byloom houses bailou one of India's foremost handicraft labels. Situated in a little house in Gariahat, bailou is the anchor brand, while Byloom houses numerous brands from all over India. Rooted in Bengal, it gives the visitor an all-encompassing view of the best of handicraft in India. From their sarees to their handcrafted jewelry and the likes, you will not find anything similar to what you get anywhere. If you like me are one of those who love ethnic, authentic wear, ByLoom is the place you should surely visit while you are here. World Oh dear World, take a bow for my Queen D.
She is your quintessential dream. You all her a fashionista but I'll call her a fashion fiesta, a carnival in herself. Full of joy, grace, and delight. Bless you girl!! The sincerity in your words, your heartfelt narratives, your passion for things, the way you stitch it up all together is worthy of an applause. This Calcutta dairy! 6 years is what she said and I can vouch for it being her Twitter may8 for long now. She was longing for this visit like a child dreams of Disneyland. Noting her joy makes me feel so happy for her. She's the chirpy and attractive Daisy Duck of my twitter world. 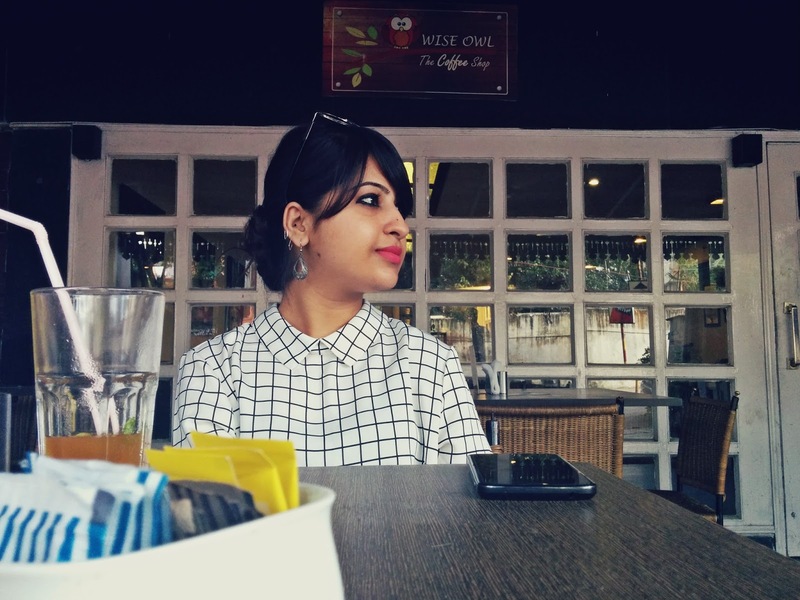 D, loved reading this beautifully scripted blog. Felt as if I was in the thick of action myself. Well done! I'd announce "it's a wrap" by saying: She deserves the new United Women's Fit Jersey. May she get it hand-delivered from the kindest person on this earth. Keeping a close tab eh? Always such a happy moment to read from you. Yes Cal was a big dream which has been fulfilled and so happily.